A Virgo man can sometimes be quite distant, giving the impression he is not interested in you. He can sometimes even come across aloof and cold even when he is in love. Why guys act distant when they like you is something that can be quite baffling, but I will try to explain here. The main reason is he sometimes has a very difficult time in verbally expressing how he feels. With such character traits, it is difficult to pick up on the signs a Virgo man is interested in you or not. A Virgo man can be solitary if he has things playing on his mind to do with work. Or alternatively, inner personal problems that he is struggling with. This is not a time for you to get emotional, thinking that you may have lost him to another woman. It is just that sometimes it is best to ignore Virgo man who just needs his own space. The star sign a person is born under gives an indication of characteristics and traits. 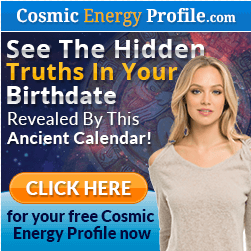 You may be surprised to learn that leading astrologers believe that Cosmic compatibility plays a large part. This is based on the energies of the two individuals. If you don’t have time to read the whole of this article you could find the answer by clicking this link: The secret a woman must know in understanding a Virgo man. 1.2 Understanding a Virgo man. 1.3 Have him focus on you. There are certain things that a Virgo guy will do when he is interested or in love with you. Being punctual, putting you first, and calling when he says he will. As well as being there for you in your good and bad times. However, he only does these things for the woman he loves. Therefore, if he used to do these things and has suddenly stopped, it could be a sign that he is no longer finding you attractive. Alternatively, he has other problems on his mind that he needs to sort out. This is where you need to be patient in comprehending the subtle signals that he is throwing off. Once you learn how to read these signals you will be able to adjust to the situation. 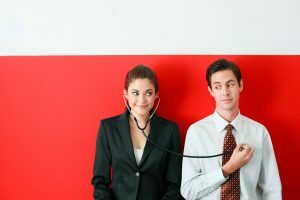 In this article, I am going to delve deeper into some signs that can help you figure out if indeed your Virgo man is not interested in you. I’m sure, you like me, learned early on that some people are naturally attracted to each other like magnets. While others have to grow to like each other by uncovering their hidden shyness to develop a relationship. It is all about a learning curve and getting used to each other. If you have the hots for a Virgo guy, there are two things that you need to do. Understand his characteristics and establish a plan of action to have him focus on you. Every relationship is different and it can be confusing trying to find an answer to your particular situation. I have tried to make it as easy as possible by breaking this article into two sections. You can then decide which would help most with your particular situation. Understanding how he thinks and reacts in different situations will help you know the real person. Having a plan to move forward will keep you focused rather than in the dumps emotionally. Because a woman naturally thinks from a female perspective she can overlook the most obvious thing that is holding a relationship back. One crucial factor that is missed by most women wanting commitment from a Virgo guy, can be discovered here. 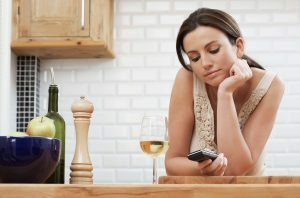 If however, you are looking for ways to get his attention or concerned that he may be losing interest in you have a look at the links under ‘Have him focus on you’. By clicking on the blue links below you will be taken to an article or video concerning that particular topic. I have set the links so that you can read the article and when you click off will return to this page. This will give you the chance of deciding if the topic is really for your situation. See my article of a book I recently reviewed called Virgo Man Secrets by a leading astrologer and relationship expert. In it, she explains his complex characteristics, as well as how a Virgo guy thinks. Learning about his thought patterns will put you in the driver’s seat in finding that magic ingredient that will spark love between you. It will help you build your relationship making him want you and only you. Take a look at my review, to see if it is just shyness holding him back. Virgo Man Secrets. Have him focus on you. There are two programs that I think you will find may give you a route to a plan of action. Both are by Amy North who has not only had personal experience but also helped 100’s of women in the same situation. The first is Text Chemistry and the second is a video explaining how a man’s attention can easily be focused to love just one woman and is called His Secret Obsession. I wrote a separate article on Amy’s program called Text Chemistry which explains how messages sent with the correct wording can have a profound effect on the person reading them. If you are trying to get the attention of your Virgo crush or wanting more interest from your current flame this could do the trick. Messages sent with the correct wording can have a profound subliminal effect on the person reading them. When a Virgo man is interested in you, he will make time for you even when his days are overly busy. He will somehow plan his schedule in a way that enables him to spend some time with his woman. In other words, he will be very efficient with a woman he loves. If you feel he is losing interest in you, it is important not to overreact. Try and pick up on the subtle signs that he is giving off, in case he has other pressing problems on his mind. Don’t immediately jump to the conclusion that he is losing interest in you. He may well have other things on his mind that he is finding it difficult to share with you. There are however some subtle things that you can do to get him thinking about you. One of those is subliminal messages, that can be sent by text, that creates thought patterns that are directed at you. It can be particularly handy if you feel your relationship needs a boost. Or alternatively, if you are trying to attract attention for the first time. This may well be the hidden gem that you need to create your perfect partnership. Have a look at my article below. You may be surprised at the effect this can have on your Virgo crush. Another thing that a Virgo man will do if he is not interested in you is to start making excuses for visiting you. Your focus needs to be directed towards finding out if there are genuine reasons he can’t see you. A Virgo man is slow to talk about things on his mind because he naturally assumes that other people are not going to be interested. Without coming across as though you are cross-examining him, you need to ask pertinent questions to discover what is on his mind. Posing the right questions will help you discover if he is losing interest in you. A more in-depth character assessment can be found at Virgo man secrets, by renowned astrologer Anna Kovach, Virgo Man Secrets. One thing that you might notice with a Virgo man who’s no longer interested in you is a decrease in communication. This may be that he is starting to take you for granted and at this stage, it may well be worth playing a little hard to get. If he is not interested and you find you are doing all the chasing you will need to consider changing your appearance for instance! Or possibly look at yourself objectively to see if you have become too boring and predictable. He may well be looking at another woman. If you want him you need to be honest with yourself. If things are not the same you need to do something about it. Don’t sit and mope and be emotional as this could make things worse. Have a look at the video below to see how to bring his thoughts back to you and only you. On the other hand, if called by the woman he is not interested in anymore, he tends not to be as enthusiastic about the phone call. The reason he responds is just that he is trying to be courteous and considerate. Texts messages may also become less, and in some cases, you might not receive any messages from him. This can be infuriating as it may also mean that he is testing you and playing a little hard to get. A good sign that a Virgo man is not interested in you is if he does not want to have a second date with you. Virgo men can be very picky and if he realizes that you are not a good match for him, he will definitely not go past the first date with you. If you are really keen on him you need to develop a very subtle approach to finding ways to contact or casually bump into him. Try to establish why he does not want a second date. A subtle way of doing this is via text messages that contain subliminal signals that can spike his interest. Click this link to discover. If your Virgo man seems like he is not paying attention when you talk to him, he is clearly not interested in you. It is important also to note that a guy who is interested in you will maintain eye contact. When talking to him notice if he is looking away and showing little interest. Are you talking too much about yourself rather than finding out the topics that he may be interested in? Relationship expert, James Bauer has created a system that shows a woman exactly what she needs to do and say to get his attention. Using these messages will excite his senses and make him obsessed with you. He tells you exactly how to do it here. One thing you are likely to notice with a Virgo guy who no longer has an interest in you is his constant criticism. This may well be about your imperfections and weaknesses. You might even notice that he compares you with other women. This is probably a habit he never had before. Maybe this is certainly a sign that he no longer wants to be in a relationship with you. Is there any way you can open up the conversation to get him to talk about why he is criticizing you? Virgo men are known to make very loving partners. When they are interested in a woman, they can put up with a lot of things. If you think your Virgo man has lost interest, you need to explore a couple of the tips above to regain his attention. Taking action could produce the perfect relationship that you deserve. To learn how to revive his interest in you and bring back the magic. 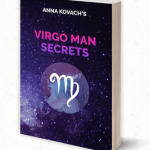 Check out my review of Virgo Man Secrets by a world-renowned astrologer and relationship expert.